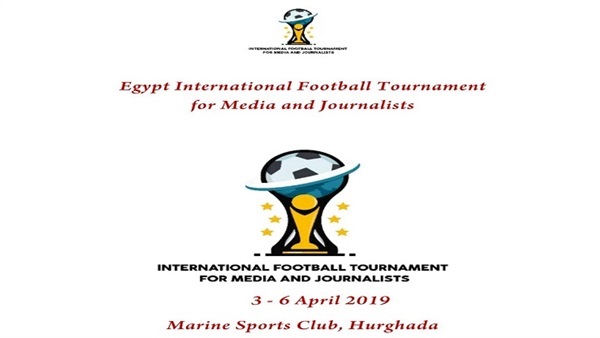 Under the sponsorship of Bibliotheca Alexandrina (Library of Alexandria), the third edition of International Media Tournament for media persons and journalists will be kicking off starting from Wednesday to Saturday, at the Maritime Sports Club in Hurghada, organised by the Federation of Sports’ Journalists in Lithuania. Seven teams will be participating in the championship. They are: Egypt, Armenia, Belarus, Ukraine, Sudan, and Germany, in addition to the Egyptian General Company for Tourism and Hotels (EGOTH), one of the tournament’s organisers. The tournament aims to establish the first sports media gathering to support tourism and cultural dialogue between participating countries, especially after the major success achieved by the tournament in Alexandria during the two previous editions. Furthermore, the tournament requires that eight players participate in each team, above the age of 35, with the possibility of giving an exception to two players whose ages could be between 30 and 35. The tournament is held under the sponsorship of Nestle, EGOTH, Bibliotheca Alexandrina, and Golden Team.